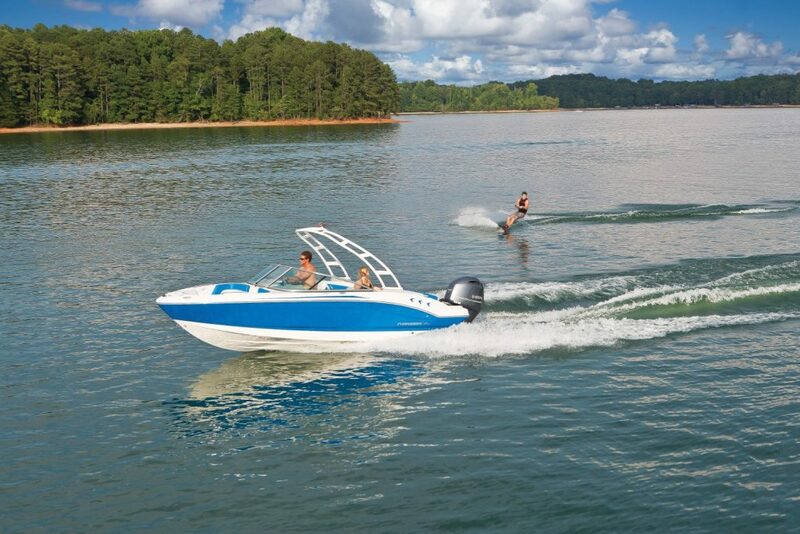 New Premium Ski Boat Rentals on Lake Chatuge in North GA Mountains! Ready to Have More Fun on the Lake? As you begin making plans to have fun outdoors this spring & summer, we hope you’re looking forward to enjoying plenty of lake time out on the water. We invite you to try one of our new premium ski boat rentals this season. We believe you’ll love the 2018 Chaparral 21′ H2O Sport boats we’re offering. They’re perfect for having memorable days of family fun on Lake Chatuge in the beautiful mountains of North Georgia. 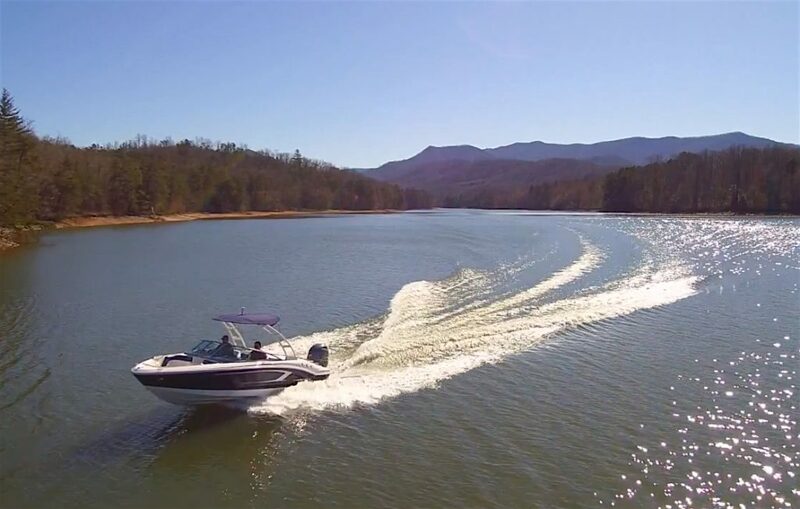 Start planning now for a weekend getaway or anytime you’re ready to get out on the water and enjoy Hiawassee, GA.
With seating for up to 8 people, there’s plenty of room for your lake time crew & passengers to climb aboard one of our Chaparral H2O Sport 21′ premium ski boat rentals. Powered by a Yamaha 150 fuel-injected 4-stroke engine with hydraulic steering, these versatile, high-quality boats have plenty of power to pull adults or children on the water. Thanks to the engineered power delivered by this Yamaha motor, these ski rental boats also offer increased fuel efficiency in comparison to other ski boats or inboard wakeboard boats. Notable extra features included on both of our H20 Sport rental boats are a wakeboard tower, bimini top, premium stereo with aux. cable connectors, dual Captain’s chairs, an in-deck ski locker, bow anchor locker, rear deck swim platform on both sides of the motor, and a wrap around windshield! This is a great all-around boat for cruising Lake Chatuge and water sports activities. Remember that when you’re making your boat rental reservation with us, be sure to tell us the water sports extras that you are planning to need during your time on Lake Chatuge. For your convenience, these new premium ski boat rentals are offered with options such as an Extreme Double Tube, Wakeboard, Kneeboard, Skis, or Wakeskate! Get a FREE Double Tube Rental or Wakeboard Rental when you rent this boat for 3 or more days! At Boundary Waters Resort & Marina, we definitely want you, your family, and friends to enjoy your Lake Chatugeexperiences with us. Contact us today for any questions you have about our boat rentals, marina services, lakeside vacation lodging, boat sales, and more. Wakeboarding grew from surfers who couldn’t wait for the next swell. Surfers were sometimes seen being pulled behind a boat with a ski rope or pulled by a truck driving along the shore. Wakeboarding took off when a surfer from San Diego named Tony Finn, who in 1985 made the “Skurfer”, which looked like a surfboard and a water ski. Soon after straps and bindings were attached to the board which lead to an easier ride, and growing interest. Meanwhile Jimmy Redmon in Texas had designed a similar board which looked like a smaller surfboard, unknowingly he put straps on his board around the same time as Tony, the straps allowed a rider to use the wake like a ramp, able to jump into the air and do tricks unlike surfing. After Tony’s board grew in popularity, it gave birth to a whole new sport called skiboarding. The first championships were televised, even though they were off to a slow start and struggling for media coverage. The sport’s growth became stagnant without any further innovation until Herb O’Brien started looking into different designs and materials to make boards. He was the first to design a neutral buoyancy board breathing new life into the sport. Wakeboarding is now one of the most popular competitive watersports, full of competitions, professionals, sponsors, fans, and money! Some of the biggest events in the sport are televised live such as the Vans Triple Crown of Wakeboarding, and the Wakeboard World Cup. With viewers numbering in the tens of thousands, and the main event usually at a private or closed off lake, obstacles, rails, and ramps for the riders provide hours of entertainment for the spectators while offering challenges for the professionals as they go for highest score to win. Wakeboarding is accessible to everyone, competitive or just for fun. Anyone can try to wakeboard at most local lakes, but for a superb learning environment, you can’t beat Lake Chatuge! For anyone new to the sport the best times to wakeboard are usually in the morning or late afternoon when the water is smooth and calm, especially on busy lakes closer to large cities. Heading up to Lake Chatuge though, offers you the smooth water and uncluttered coves necessary to sharpen your skills in short order. You can get a summer’s worth of boating, waterboarding, skiing, fishing done in one long weekend up here! We have fantastic wakeboard boats for rent, with enough power to pull the heavier guys up, and enough control that even beginners feel comfortable getting their feet wet! 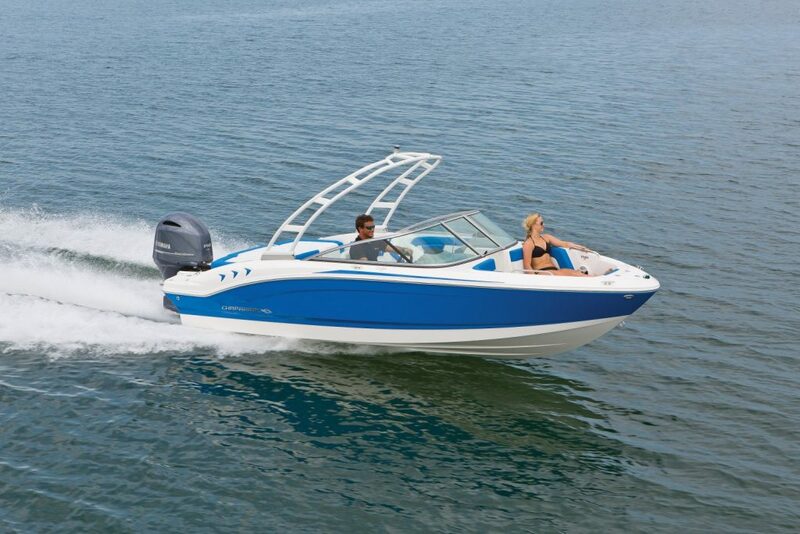 Our 2 Malibu Wakesetter rental boats, feature ballast tanks, cruise control, and the Malibu Wedge for an amazing wake. Check them our on our boat rental page or stop by to see them in person.